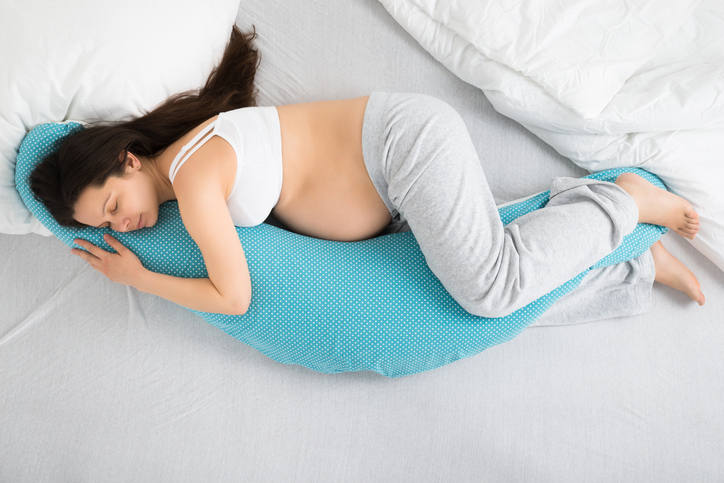 During pregnancy it is common for most of the women are having sleeping disturbance. The main reason for this is physical discomfort, hormonal fluctuations, stress and anxiety. As the pregnancy progresses it is most difficult to find the sleeping position, or they need to get up several time at night for urination. There are several tips are here to have a comfortable sleep at night. It is good to drink plenty of water at day time and they need to cut down the fluids before their bedtime. It will help them to minimize the night time urination. It is better to keep moving the body by regular exercise which will help to improve the circulation and which will reduce the night time leg cramp. They need to avoid exercise at late in the day or evening. Pregnant women need to be happy and they need to be stress and anxiety free which will prevent the night time sleep. Always thinking about the problem will make the situation worse and it is better to talk with the problem to their friends or professional to find a solution for the problem. They need to make it as routine to soothing and comforting them by evening routine. It will help them to relax and sleep with more ease. They can drink a cup of milk or cup of caffeine free tea or taking a warm shower, reading a pleasant book, or getting a shoulder massage. After 20 weeks it is better to avoid lying flat on the back. It is good to sleep on left side which will help to flow the blood on their uterus, kidney and fetus. Many ladies have heartburn problem to avoid that it is good to take foods after regular interval. And they need to avoid the spicy and fried food items. If they do not have proper sleep at night it is good to have a small nap at day time to reduce their fatigue. They can take 15 to 30 minutes of nap. If they take more nap it will disturb the night time sleep. It is better to use the pillow to give support for the body. They can use regular pillow or pregnancy body pillow. They can keep one pillow for their knee and another pillow for their belly for a comfort. It is better to follow the diet and they need to keep their stomach full to avoid nausea. They can eat the bland snack throughout the day if they have nausea problem. And they need to eat the well balanced diet which will good for their body and the baby will get the proper nutrients. And this proper food will helps them to get a sound sleep. If they have any pets it is good to avoid them to sleeping with you. It may cause some allergy problem or they may wake up because of the movement of the pet. It is better to avoid watching television and discussing emotional things before bed. It will disturb the sleeping at night. 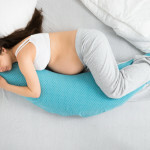 It is good for pregnant women to have sound sleep which will helpful for the growth of the baby. It is good to keep the bedroom dark and comfortable. They can have a good sleep if the sleeping atmosphere is good for them. Some women are disturbed for the slightest noise so it is good to switch of the Television, laptop before going to bed. If they take all the necessary steps they will have a sound sleep which is good for both mother and the baby.